You should practice past papers on a weekly basis. Practice and prepare to save stress on the big day! To begin with, concentrate on the questions you can do from the chapters we have covered. In addition look out any questions that are problem solving, these will not pertain to any one chapter. As a rule of thumb, if it is a 1 mark questions you will be required to provide 1 correct point, if it is a 2 mark question you will be required to provide 2 correct points and so on. Use the marking scheme to mark your paper. Take a note of questions which were wrong and revisit them at a later date to see if you have learned from your mistakes. As you become more confident complete papers under timed conditions. Another rough rule of thumb is one minute for one mark, this will leave you enough time to check over your paper at the end. If you are stuck at a question do not dwell on it, move on…. do the questions you feel confident with first and return to those you are unsure of at the end. 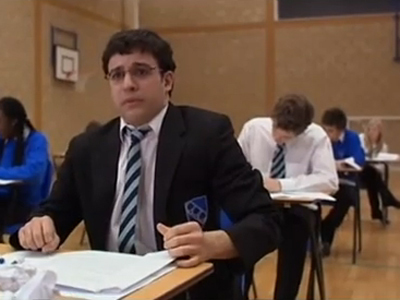 The golden rule of exams is to, READ ALL QUESTIONS CAREFULLY…. especially essay questions, decode the question, ask yourself “what is it asking me?”. Your spelling does not have to be perfect, however make sure your paper is legible, if an marker cannot clearly read it they will mark it wrong. Lastly, DO NOT leave blank spaces, attempt ALL questions, if you have to take an intelligent guess! You might scrape a mark, this could be the difference between an A or a B. Following the above advice will ensure you are equipped with the skills you require to pass your final exam. It takes practice to understand the types of questions you are asked, and to answer them in the language that is expected of you. This is why analysing the marking instructions is so important. PRACTICE PRACTICE PRACTICE! FAIL TO PREPARE, PREPARE TO FAIL! NEED A BIT MORE PRACTICE: BELOW ARE PAST PAPERS NO LONGER ON THE SQA WEBSITE: THESE HAVE BEEN SCANNED TO PROVIDE YOU WITH FURTHER EXAMPLES. Tankyou very much Mrs Smith. these past papers have been a saviour for me. May The Devine bless you for this help and show yo the path to happiness. So Glad I could help. Good Luck!! !